Frances Fitzgerald TD, Minister for Children and Youth Affairs, was joined by An Taoiseach Enda Kenny TD and An Tánaiste Eamon Gilmore TD to launch ‘Better Outcomes, Brighter Futures: the National Policy Framework for Children and Young People 2014 -2020’. The launch event took place in Dublin Castle. 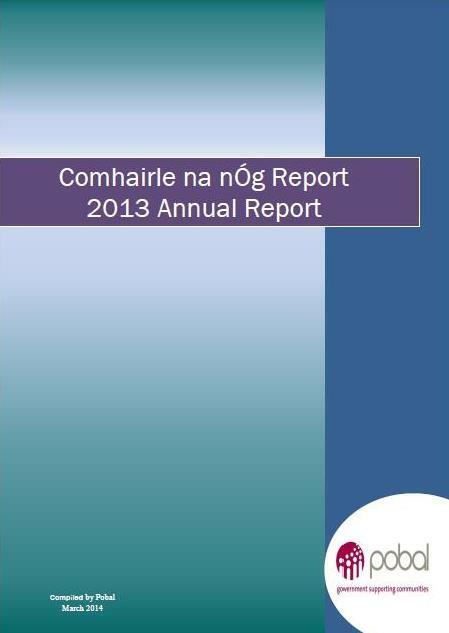 The Comhairle na nÓg Annual Report 2013 was compiled by Pobal. It makes for very interesting reading and confirms the excellent progress being made by Comhairle organisers and the young members of Comhairle na nÓg throughout the country. 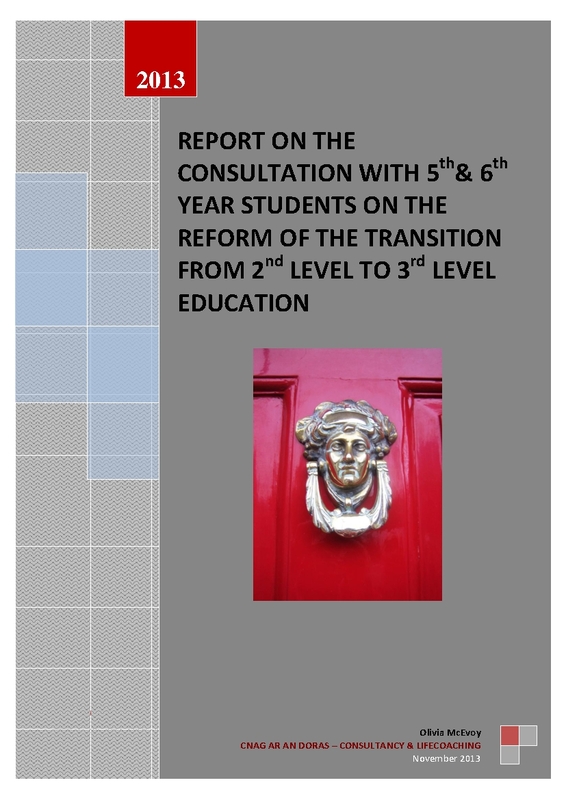 In October 2013 the Department of Education and Skills hosted a one-day consultation event with 5th and 6th year students on ‘transition reform’, examining the transition of students from second-level into higher education and how that may be improved. 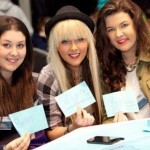 Young Voices: Guidelines on How to Involve Children and Young People in Your Work was prepared jointly by the National Children’s Office, the Children’s Rights Alliance and the National Youth Council of Ireland. In preparing Young Voices, materials were used that were developed by a wide range of national and international organisations with experience of involving children and young people. The case histories highlight the excellent participation work being done and provide evidence that the involvement of children and young people in policy development and service delivery is both possible and achievable. The Report of the Comhairle na nÓg Development Fund (2007-2008) presents the findings of an independent evaluation of the first year of the Development Fund. 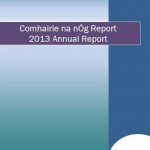 The result show significant improvements in the operation of many Comhairlí na nÓg. 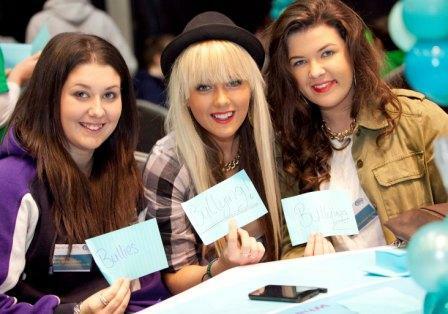 Some CDBs have established regular sessions of Comhairle na nÓg, which link with the adult county council and interact with policy-makers to ensure that the views of young people are included in shaping policies and services. It is evident from the report that the additional funding has enabled many Comhairlí na nÓg to meet on a regular and sustained basis, possibly the single biggest achievement of the scheme. Review of Comhairle na nÓg and Dáil na nÓg (October 2005) – Murphy Report – As a result of issues raised by Community and Enterprise Development Officers in CDBs, feedback from young Comhairle representatives and its own observations, the National Children’s Office (now the OMCYA) commissioned an independent review of Comhairle na nÓg in November 2004. The report was published in 2005 and noted that many of the 34 Comhairle na nÓg were not effectively engaging with children and young people and were in need of significant improvement. 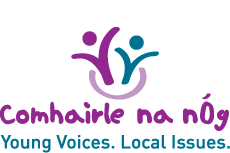 Report from the Comhairle na nÓg Implementation Group This Report contains recommendations for supporting Comhairle na nÓg to ensure that children and young people are involved at local level in developing policies and services that are relevant to them. The report was approved by the Minister for Children, Brian Lenihan TD, on 27 April 2007. (Published in May 2007). Below is a list of publications by the Office of the Minster for Children and Youth Affairs (OMCYA), relevant to the work of Comhairle na n Óg. Final Evaluation of Children and Young Peoples Forum 2005-2006 This evaluation report covers the period 2005 and 2006, the first two years of operation of the Children and Young People’s Forum (CYPF). 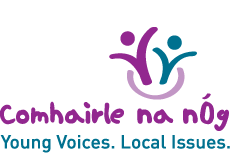 Report from the Comhairle na nÓg Implementation Group This Report contains recommendations for supporting Comhairle na nÓg to ensure that children and young people are involved at local level in developing policies and services that are relevant to them. 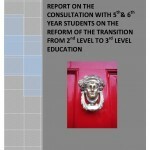 The report was approved by the Minister for Children, Brian Lenihan TD, on 27 April 2007.